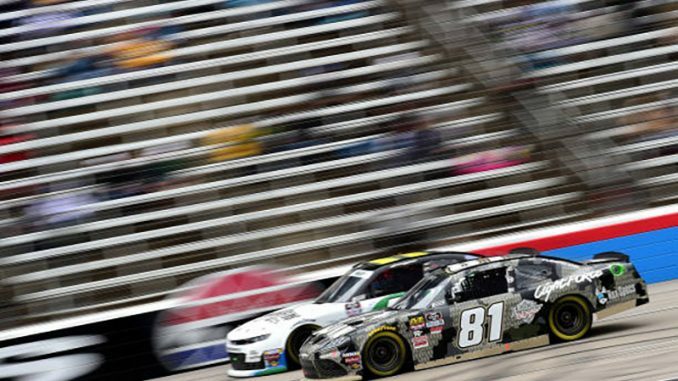 Jeffrey Earnhardt made a positive step forward Saturday at Texas Motor Speedway. After two starts in top flite equipment in the 2019 NASCAR Xfinity Series, Earnhardt made his first start with XCI Racing a new team with an alliance with Joe Gibbs Racing. JGR fielded two cars for Earnhardt to open the season and Earnhardt responded with finishes at Daytona and Atlanta of 15th and 6th respectively. After a few weeks off, Earnhardt got back on track this weekend with XCI Racing. After starting 14th Earnhardt ran just outside the top 10 most of the afternoon. A late race call for fuel and tires put Earnhardt in position to make a run, and he did just that charging forward on a late race restart and being rewarded with an 8th place finish. On that same late race restart, Kyle Busch was able to grab the lead and take the win. The team will race again at Talladega in the Cup series at the end of April followed by five more Xfinity races: Chicagoland in June, Daytona in July, Bristol and Darlington in August and back to Talladega in October. Earnhardt is scheduled to be the driver for those races.